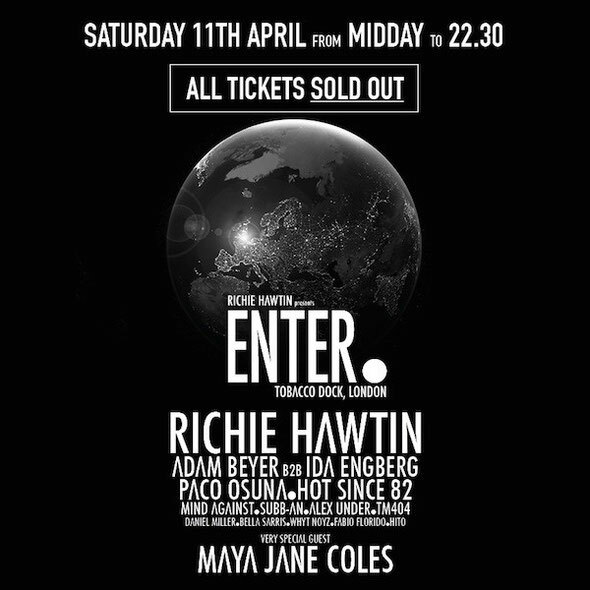 Richie Hawtin’s ENTER. experience comes to East London’s Tobacco Dock next month, on Saturday 11 April. Now, Maya Jane Coles was recently revealed as the special guest, taking a break from her current US tour to perform in the ENTER.Terrace room alongside Hot Since 82, Mind Against, Subb-An and Bella Sarris. Adam Beyer performs back-to-back with Ida Engberg in the main room, joined by Richie Hawtin, Paco Osuna, Whyt Noyz and Fabio Florida. The hypnotic ENTER.Mind room makes its UK debut with guests Alex Under, Daniel Miller and TM404. This is a great opportunity to experience Hawtin’s ENTER.Sake room for the first time outside of Ibiza with resident DJ Hito. 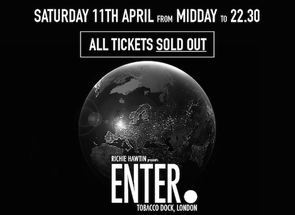 Tickets for ENTER.LONDON at Tobacco Dock sold out in record time, but there are still a limited number of tickets available for the NEXT STEP - ENTER.AFTER PARTY, which also takes place later the same day, from 22:00 – 06:00 at Studio Spaces. Acts performing at the after-party are Richie Hawtin, Adam Beyer B2b Ida Engberg, Paco Osuna, Mind Against, Subb-An, Bella Sarris and Fabio Florido.